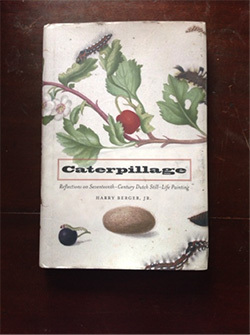 ♦ Caterpillage: Reflections on Seventeenth–Century Dutch Still-Life Painting, Harry Berger Jr, Fordham University Press, 2011. ♦ Looking at the Overlooked; Four Essays on Still Life Painting, Norman Bryson, Reaction Books, 1990. ♦ The Postmodern Condition: A Report on Knowledge, Jean Francois Lyotard, 1979.